April of 1782. It is springtime and wonderful landscapes reveal the Kingdom of Frezzia. The pale blue sky, the lush greenery of the hills and the brightness of the wildflowers are just a few elements of this story that takes us to a time of myth and legend. The main village, Chandler, which through the years has gradually evolved from rudimentary constructions until half-timbered houses, has picturesque neighborhoods. In its cobblestone streets, painters and minstrels display their art in the exaltation of freedom and romance. The village has paper decorations in its streets and colorful fabrics in all balconies, showing the stunning shield of the kingdom. Happiness spreads throughout the kingdom. 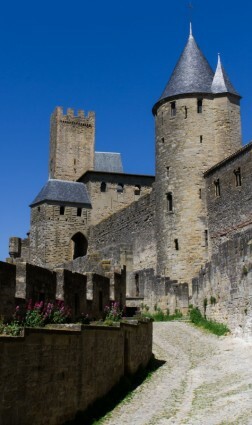 Following a wide stone path, to the top of the highest hill, hundreds of Frezzian flags fly over the towers of a large stone chateau. The majestic Royal Palace of Frezzia is an architectural gem, and has been the home of the monarchs for generations. It was built under Gothic influence, using materials such as marble, stone, bronze, gold and the best local woods. A curtain wall circles the palace. It is dominated by nine towers, all connected by a walkway. The main tower has a bulbous dome, where the King’s apartments and the Queen’s chambers are located. They both share an extensive garden of lime trees, oak, poplar, and tropical flowers symmetrically shaped and decorated with statues and fountains. In the lower bailey, people gather supporting Frezzia’s sovereignty. They anxiously await the arrival of the King and the Queen to express their joy that peace has been restored in their beloved kingdom. There are balconies built for this special ceremony, designated only for the members of the nobility. The nobles wear elegant outfits and sophisticated hats; unlike the villagers standing in the bailey. In the main tower’s balcony, the herald announces the arrival of their majesties. The members of the Royal Court stand up, and the trumpets blare. Two servants open the satin curtains and King Aidan and the beautiful Queen Beatrize enter. The crowd cheers; everyone expresses their respect and gratitude by applauding them. King Aidan, a young man with an intense gaze, wears the immaculate golden crown of Frezzia, covering part of his bronze hair. His metallic gala suit reveals his slender figure. His sky blue eyes stare at the excitement of the bustling crowd, like he had never seen before. Queen Beatrize, a young woman of exceptional beauty, like a painting of a goddess brought to life, smiles sweetly at the King. Her green eyes look like emeralds in the snow because of her pale face. She wears a pompous dress made of the best green roses of the kingdom and a golden crown, which extends through ornamental silver in her hair. The herald announces the arrival of Captain Donoch and his courageous army. In the barbican, the infantry, in perfect alignment, march through the thousands of villagers. The soldiers wear wide-brimmed leather hats and brown tabards as their uniform, in which some of them still reflect the devastating experience of the war. Their faces are aglow like the rising sun, leaving behind the pain and suffering. Ahead of them, on horseback, Captain Donoch, a proud, elegant looking man with a few wrinkles on the forehead, commands the soldiers to stop. The applause of the crowd intensifies. This time, the members of the nobility also clap their hands with glee. In the upper bailey, Alysse, a beautiful young woman of exotic appearance, with long black locks and a colorful pleated gown, is instructed how to get to the banquet hall by a guard in a blue uniform. Alysse thanks the guard and enters a long corridor. Alysse’s brown eyes are delighted by the design of the palace’s corridors, which includes pointed arches and vaults at the end of its long columns. Without paying attention to the levels of the bright marble floor, Alysse loses her balance as she draws the attention of the guards. One of the guards with a direct stare, extends his arm to the right. Alysse doesn’t waste her time thanking the guard and keeps walking until she hears noises coming from inside a nearby room. Alysse enters the banquet hall and observes many young maidens walking in different directions, carrying containers of flowers. In the middle of the room, Lady Pia, a stout woman with a shrill voice, waves her hands as she commands the servants. The maids avoid her gaze and make wreaths of flowers. Alysse believes Lady Pia is the person she was looking for and approaches her. Lady Pia scowls. Alysse is afraid to see Lady Pia’s eyebrows raising. – “How is it possible that the guards allow people in the palace during this important ceremony?” Lady Pia yells. Alysse looks at her contemptuously trying to steal a smile, but the challenging gaze of Lady Pia continues stalking her. In the main balcony, the head of the naval infantry, Admiral Guiness, a short, elderly man with a little hump on the back, stands next to King Aidan. With energetic voice, Admiral Guiness starts his speech. Captain Donoch makes an entrance to the main balcony, and he is warmly welcomed by the King, the Queen, and the Royal Court. Captain Donoch receives flowers from Queen Beatrize and a golden medal from Admiral Guiness. People in the lower bailey applaud, including the soldiers. Milun’s face shows happiness for his captain. Peter, a slender young soldier, with long arms and legs, stands beside Milun. He stares at the main balcony. Milun, already accustomed to the eloquence of Peter, replies to him with a sarcastic smile, and looks at the crowd. Peter follows Milun’s eyes. – “Nidia, her name is Nidia.” Milun replies. – “You haven’t seen her for over a year. You think she’ll wait?” Peter asks. Peter shakes his legs. Milun smiles and pushes Peter. They hear the trumpets blare. In the Main Balcony, King Aidan starts his speech. In one of the balconies, Janice, a young maiden with a delicate figure, removes her veil and a grin flashes across her rosy face. As she applauds, the sleeves of her ocher dress move like an accordion. In the banquet hall, Alysse pulls out a letter from her dress and hands it to Lady Pia. Lady Pia crumples the letter. – “Do you have any experience assisting in a ceremony?” Lady Pia asks. Lady Pia, looks directly at Alysse. One of the maids stumbles and lets a container of flowers fall to the ground. Water splashes all over the maid’s dress. Lady Pia, furious holds her breath. A servant approaches and informs Lady Pia that it’s time for the wreaths. The maids,quickly,take the wreaths and stand in line. Lady Pia takes one and shoves it to Alysse. A smile comes to Alysse’s face. This seems to upset Lady Pia. Alysse carries the wreath and walks to the end of the line. In the lower bailey, the trumpets play a military march. The maids parade out and take place in front of the soldiers. Alysse, surprised, realizes that she has no other choice than following the others, and takes her place in front of Milun. Milun and Alysse stare at each other. Alysse observes the other maids. – “The garland…” Alysse realizes. Alysse places the garland around Milun’s neck. Milun smiles. The maids thank the soldiers for their heroic participation in the war and give them a kiss on each cheek. Alysse decides to do the same, but the penetrating look of Milun, makes her kiss Milun’s forehead. Milun freezes. The maids return to the banquet hall, and Alysse leaves without saying goodbye to Milun. Milun’s eyes follow Alysse as he touches his forehead. Peter pushes Milun and brings him back to earth. -“That girl is very beautiful.” Peter says. – “She was quite different.” Milun observes. -“I thought you had eyes only for…what’s her name again?” Peter asks. The music stops and King Aidan continues. The members of the Royal Court, Butler Columbio, in charge of the royal household, Chancellor Duke Gian de la Motte II, the head of chancery, General Riot, in charge of the cavalry, Monsignor Blanc, the representative of the clergy in the Palace, and Admiral Guiness, stand next to the King. The King and the five members of the Royal Court hold their hands, and together, they lift their arms as a sign of unity and peace in the Kingdom. The audience applaud as the sound of the trumpets marks the end of the ceremony. Not far from there, ravens flight over an ancient and austere building, the Saint Mirateur Monastery. Situated over a hill, the monastery was erected in the eighth century by a group of monks, who were the first founders of Frezzia. Its walled compound comprises narrow streets, alleyways and a large cylindrical structure with a dome, built in red bricks. Despite its deterioration, the Saint Mirateur Monastery still retains the disposition for solitude and meditation. Unlike the bustle in the Royal Palace, numerous priests have joined the celebration by singing Gregorian chants in the main chapel. In a dark chamber, the ray of light transfers the crystal of a rose window and casts a watercolor reflection on a man in a hooded yellow robe. The man remains kneeling in front of an altar with his head down. The man’s meditation is interrupted with the entrance of the Father Superior, the leading authority in the monastery, who carries a lit candle in his hand. The Father Superior, a heavy old man in a red satin robe, squints through the darkness. Arthur raises, revealing the handsome face of a middle-aged man framed by a bushy beard. His words transpire peace and serenity. The Father Superior tries not to smile. – “I’m the one who interrupted your perpetual vigil.” He replies. Arthur removes his hood as his gray hair falls on his face. He looks very vigorous, considering his age. The Father Superior touches Arthur’s shoulder. – “I will not feel better elsewhere. I’ll be always grateful for your invitation.” Arthur adds. – “I knew there was something special about you.” The Father Superior observes. – “All I need from you is to get some fresh air.” The Father Superior replies. Arthur smiles, but beneath his smile there is a trace of sadness. At the temporary naval complex, tents are set up around a field. Sitting on large tables, the soldiers eat roasted meats and drink tankards of ale. At one of the tables, Milun approaches Captain Donoch. Captain Donoch laughs and wipes his mouth. – “I don’t need any recognition. I will do it again, if I have to.” Milun observes. Donoch avoids Milun’s gaze. After a couple of seconds, Milun says determined. Captain Donoch pours a drink and hands it to Milun. Milun takes a sip. – “All of this because of the baker’s daughter.” Captain Donoch exclaims. Milun sits and stares at Captain Donoch’s eyes. Captain Donoch drinks from the bottle. Captain Donoch stands and laughs. Milun smiles and hugs Captain Donoch. Captain Donoch takes his sword and hands it to Milun. – “It won’t be in better hands. You deserve it, son.” Captain Donoch replies. Tears roll down Milun’s cheeks. Peter approaches and realizes the inevitability of Milun’s decision. – “Not now. It’s time to celebrate.” Peter says. – “Clean your face.” Peter yells. Peter looks down. A tight little smile breaks out on his face. – “You learned to be a man and I’m sure you will learn the rest from the Captain.” Milun replies. Peter whistles and the other soldiers bring tankards of ale. Milun shakes his head and the soldiers force Milun to drink. Captain Donoch laughs. At the Palace’s kitchen, Alysse stares at the iron cauldrons bubbling with stews. She takes a silver utensil from a stone sink and drops it. A maid, wearing a purple uniform and a mob cap approaches Alysse with a pleasing smile. – “It takes some time to adapt. I will provide your uniform and take you to the servants’ chambers.” Sharize replies. Miccael, one of the cooks, blonde, broad shoulders, a man of restless personality approaches. He stares at Alysse, visible shocked. – “Alysse? If I’m not mistaken.” Miccael asks. – “Do I know you, sir?” Alysse’s eyebrows raise. Miccael smiles, considerable surprised at seeing each other. Alysse laughs disbelieving. Miccael kisses Alysse’s hand. Lady Pia approaches and her face crumples. – “The last thing we needed, flirting in the Palace.” She says. Alysse pulls her hand away. She can’t quite conceal her surprise. In the village of Chandler, Milun, still in his uniform, seems to have trouble with his orientation. He realizes that the village looks as it always did. Tidy, wide streets, a very rudimentary type of architecture like any other village that fills with colors its streets and the eyes of those who watch it. People come to Milun and hug him. It’s all about his uniform. – “Welcome back.” They say to him. Milun is excited to experience the affection from the villagers. He glances over his shoulder toward a flower shop on the Square. – “Red tulips. I almost forgot.” Milun observes. At the Saint Mirateur Monastery, Arthur and the Father Superior walk along a corridor bathed in a very bright light. The Father Superior seems satisfied to have Arthur out of his continuous penance. – “We pray for those families.” Arthur replies. Arthur stares at the Father Superior, surprised. Arthur looks up and observes colorful sky lanterns flying. – “They must come from the Palace.” The Father Superior says. – “Do you miss the crowds and the noise of the Royal Palace?” Arthur asks. Arthur looks down. The Father Superior remains silent. In the Palace’s kitchen, Alysse decides to answer to Lady Pia. – “My apologies M’lady. I was on my way to get changed”. Alysse nods. Miccael looks surprised at Lady Pia. He seems perturbed with her tone of voice. – “She needs time to adjust.” Miccael says. Lady Pia glares at him. Miccael laughs and approaches Lady Pia. A maid approaches and interrupts them. She indicates to Lady Pia that the trays are ready. Miccael waves his hand to Alysse and he returns to his duties. Lady Pia takes a tray. – “I must go and change now. It won’t take long”. Lady Pia rolls her eyes. Lady Pia grabs Alysse’s arm and walks with her. In the village, Milun stands, holding a bouquet of red tulips. He stares at the bakery, a small building located on the corner of a busy street. Outside the bakery, a large crowd is gathered. A wooden sign indicates they are giving away fresh-baked bread commemorating this important day in the history of Frezzia. – “It hasn’t changed at all.” Milun says. Erasmo, the bakery’s owner and the father of Nidia, a short old man, a blinding mixture of dedication and sweat, stands outside handing loaves of bread to the villagers. Milun approaches and gets a glimpse inside the bakery, looking for Nidia, without any success. Milun notices the sun is setting and decides to wait until the bakery closes. In the Royal Palace, the nobles reunite in the middle of an enormous room decorated with gold filigree. It is known as the nobles’ salon. The evening party is accompanied by a trio of violinists who play a repertoire of classical music. On a dais, sitting in a medallion back chair, Queen Beatrize stares at a standing cabinet clock as her hands rub the arms of her chair. Sitting around the Queen, three of the most aristocrat women of the Kingdom stare at her; their smile are pure formality. Lady Felicia, traditionally beautiful, with high cheekbones, wearing a conical hennin, starts the conversation. – “It must be hard to adapt to all the traditions of a new kingdom”. Queen Beatrize smiles. To her credit, she has an excellent fake smile too. – “My dearest friend, you have no idea how happy I am. Coming to Frezzia was definitely a blessed journey”. Lady Eugene, a large woman who can barely breathe due to her tight dress, smiles perfunctorily. She stares at the Queen’s dress. – “It must be a significant achievement for you to be a fashion icon in Frezzia”. Queen Beatrize smiles and a chuffing laugh escapes from behind it. – “King Aidan is very lucky to have you”. Queen Beatrize finds Lady Clarice’s comment more important that the others. Determined, she says. The three ladies look at one another, confirming their satisfaction with the Queen’s answer. In the village, Milun stands across the street from the bakery. Finally, the last customer leaves the bakery and Erasmo collects the wooden signs from the entrance. Milun believes this is his chance to see Nidia. He carefully walks to the back entrance of the bakery. He observes the tiny door and above it, Nidia’s balcony. Milun knocks on the door, but nobody answers it. Milun tries again and hears light footsteps approaching. Nidia, a beautiful woman with long silver curly hair and a straight-edged nose, opens the door and stares at Milun. She is extremely surprised to see Milun is back. Milun is excited to see Nidia after all the time he was away. At the Palace, Janice, the Queen’s cousin, approaches Queen Beatrize. Queen Beatrize looks at Janice as her rescuer from all the conversations and etiquette around her. – “Wear a smile.” Janice replies. A tight, little smile breaks out on the Queen’s face. – “Just keep me away from them.” The Queen replies. Janice takes the Queen’s hands. Lady Pia and Alysse enter the salon and curtsey. Alysse holds a tray of fruit. Queen Beatrize stares at the fruits and her eyes widen. – “They are messy” Janice observes. The Queen raises her hand to get the fruit, but Alysse freezes, staring at the Queen. The Queen looks at Lady Pia with confusion. Lady Pia turns and whispers to Alysse. Alysse reacts and extends the tray of fruit towards Queen Beatrize. The Queen takes a piece of fruit. Alysse apologizes using a phrase in another language. The Queen recognizes the phrase from her native language, Crystlan, and turns to Alysse. Lady Pia gasps and grabs Alysse’s arm. The Queen raises her hand. Queen Beatrize asks Alysse again, this time in her native language. – “Sy aprenle quen traworle tes matonelli.” Alysse replies. – “Very impressive. You learned it quite well.” The Queen observes. Janice smiles. The other ladies begin to murmur among themselves. – “I appreciate it Your Majesty. I’m here at your disposal.” Alysse replies. Lady Pia snaps her fingers. Alysse curtsies and takes the tray away. Queen Beatrize, still impressed, turns to Lady Pia. Lady Pia smiles a little sheepishly. At the bakery, Nidia stares at Milun like she was seeing a ghost. Milun is waiting for a warm embrace. Nidia slowly reacts. Milun takes the initiative and hugs her. Nidia lays her head on Milun’s chest and receives the tulips. – “You have no idea how I have longed for this moment.” Milun adds. Milun tries to kiss her, but Nidia pulls back. Milun smiles. He is not afraid of anyone. Nidia hands the tulips to Milun. – “Have you been drinking?” Nidia asks. Nidia rolls her eyes a little. – “A friend, who died in a battle, had a ship in the port. He left me in charge of it. It’s called The Rosse”. – “I will look for you there.” Nidia replies. Nidia backs up and holds her door. Milun approaches and kisses Nidia’s lips. Nidia closes the door softly. Milun looks down. At the Palace, Alysse serves pastries to the guests with a big smile on her face. Lady Felicia gives Alysse a reproachful look and asks her friends, Lady Eugene and Lady Clarice. Lady Felicia rolls her eyes. Lady Felicia nods and looks again at Alysse. Lady Clarice gives her a friendly raised eyebrow. – “After the civil war they were supposed to have the same rights”. The Queen waves her hand to Alysse. Alysse approaches her and curtsies. Queen Beatrize points to Janice. – “It’s a pleasure to meet you Ma’am!” Alysse nods. – “I didn’t know I was married.” Janice smiles. – “Don’t worry. I’m still impressed. Not many people in this Kingdom know our language.” Janice observes. Alysse smiles broadly in appreciation. Queen Beatrize is happy to hear that. The Queen laughs. Alysse notices that her tray is empty. Alysse curtsies and leaves the room. – “Alysse has definitely something that the other maids don’t have.” The Queen observes. Janice leans over the Queen. – “I have a great idea.” Queen Beatrize smiles. Milun arrives at the port and heads for a long wooden pier surrounded by sea. Drunks still celebrate the end of the war, passing a tankard of ale around them. Milun stares at the wide variety of vessels and approaches one of the sailors, an old man with an unkempt beard. – “The Rosse. Which one is it?” Milun asks. The sailor stares at Milun’s uniform. The sailor extends his hand to The Rosse, a small carrack with three masts. Milun stares at the ship. – “It’s in a better condition that I had imagined.” Milun observes. The sailor glances to Milun in surprise. Milun takes a letter from his bag and hands it to him. The sailor looks at the letter. – “How much do I owe you?” Milun asks. Milun gives the sailor two golden coins. The sailor smiles with satisfaction. In the Palace’s kitchen, Alysse places various refreshments on her tray. Sharize approaches. – “I saw the Queen. She even talk to me twice.” Alysse smiles. Alysse clasps her hands and looks up. Another maid, Yllia, an overbearing woman with a tiny waist and a voluptuous body, interrupts the conversation. Alysse can’t conceal her surprise at the negative comments against the Queen. Sharize comes in the middle of the two. Yllia grabs a tray and heads out. Sharize looks at Alysse. Alysse with a sarcastic smile shakes her head. Aboard “The Rosse”, Milun stands on the deck. He stares at the low tides hitting the ship. – “After all, I’m finally here.” He says. Milun slips a canteen from his belt and drinks from it. At the Palace, Queen Beatrize stares at the guests. She asks Janice. Janice smiles and looks down. Alysse approaches and serves them. The Queen smiles at her. Janice covers her mouth, also surprised by the question. – “Not at the moment Your Majesty.” Alysse replies. – “Although, I believe one day I will meet a gentleman in a winged white horse.” She adds. The Queen and Janice laugh. – “Maybe it’s just not a fairy tale.” The Queen observes. Lady Pia enters the room and observes Alysse having a conversation with The Queen. Lady Pia approaches and directs her gaze to Alysse. – “Yes, M’lady.” Alysse curtsies and moves away. Lady Pia curtsies and looks down. – “Then it will be your job to make sure that she is…ready.” The Queen replies. Lady Pia lowers her eyes. At “The Rosse”, Milun observes the moon. He hears footsteps on the deck and turns. Milun stares at Nidia, his mouth agape. Nidia smiles and approaches him. Nidia gives him a cold smile and looks around. Milun tries to kiss her, but Nidia holds him back. Milun looks concerned. They look at each other for a long moment. Tears roll down Nidia’s cheeks. At the Palace, Queen Beatrize entertains the guests. The doors open and soldiers in blue uniform clear the entrance. King Aidan enters and the guests bow. King Aidan is accompanied by Butler Columbio, considered the “King’s right arm”, and his gentlemen, the Duke of Amici, the Baron of Moline, and the Count Di Pace. They are followed by Captain Daugherty, the head of security of the King and leader of the blue soldiers. The King takes the Queen’s hand and kisses it. The Queen smiles and touches his hand. – “I’ll do everything you ask of me.” King Aidan replies. Among the guests, Monsignor Blanc, the representative of the clergy in the Palace, a charming man with heavy protruding brows in a silver robe, looks at them with a broad smile and a shared complicity. Chancellor Duke Gian de la Motte II, the King’s cousin, a skinny man with sunken eyes and nervous hands, approaches the Monsignor. His stiletto beard is shot with white and he wears a ruffled- slashed leather jerkin. The duke offers Monsignor Blanc a glass of champagne. Monsignor Blanc refuses the drink moving his hand. The duke smiles and drinks both glasses at once. Butler Columbio, a man of sturdy build in a fur-trimmed overgown, projects his gaze on Janice and avoids the greetings of the guests while his eyes follow her like bees to a honeycomb. Captain Daugherty, a working class, self-made man, in a blue uniform with Frezzia’s shield embedded in it, approaches Columbio. He has a trimmed goatee and a permanent scar on his face. Columbio laughs and throws his heavy arm across Daugherty’s shoulders. – “Did you notice the look of those soldiers today? They are the true sons of Frezzia.” Daugherty observes. Daugherty laughs. Columbio approaches Janice. Janice stares at him. Janice curtsies as Butler Columbio winks. At “The Rosse”, Milun can’t believe what Nidia just said to him. – “Engaged to whom?” He asks. – “But, I’m here now. You better tell me his name.” Milun yells. Nidia is scared and anxious. Milun is devastated with her words. – “It’s better for us if we no longer see each other.” She adds. Nidia turns and walks away. – “Do you love him?” Milun yells. At the Palace’s kitchen, Alysse places drinks on a tray. Lady Pia approaches. – “There are many servants in charge of the salon now.” Lady Pia says. Alysse continues placing the drinks. Lady Pia takes away the tray. Lady Pia look squarely at her. Lady Pia walks out the door. At the nobles’ salon, the musicians play some sonatas. King Aidan and his gentlemen continue celebrating. A coquette young woman with her hips swaying slightly leaves the room. King Aidan’s gaze floats over the guests following her. King Aidan informs Captain Daugherty that he is leaving the salon without security. Daugherty is aware of the situation and finishes his drink. Janice approaches Queen Beatrize. The Queen smiles at her. Janice laughs. She knows her cousin’s intentions. The Queen laughs and looks at Butler Columbio, who is talking to the guests. The Queen shakes her head. The Queen and Janice look for the King without any success. – “He may still be with his gentlemen.” Janice observes. The Queen stands up and goes to an adjoining room, the goddesses’ salon. In a court wood trim sofa King Aidan kisses the attractive young woman. The Queen stares at them. Queen Beatrize leaves the room and sobs. Monsignor Blanc approaches and gives her a handkerchief. The Queen moves away. The Monsignor stares at her. In her bedchamber, Alysse lies on her bed. She writes a letter with her left hand. “Dear Aunt, you have no idea how happy I feel. Living in the Palace is like living in a dream. The next day, in a wide, tastefully decorated room, the Royal Council Chamber, King Aidan sits on a marble dais. Around him, the members of the Royal Court sit on high backed chairs. Framed portraits of current and former members hang on the wall. In the center of the room, General Riot, a man with a large beard, stands with his hands on a podium. He wears a doublet and a pair of breeches. – “The expenses brought by the war generated a couple of demonstrations in some villages in the north.” He says. King Aidan taps his fingers on the arm chair. – “Are they seeking an alliance with our enemies?” He asks. – “They are demanding a low interest of the tithe.” General Riot replies. Butler Columbio takes the floor. – “The Chancellor believes these are just excuses. Propaganda and evidence was found.” General Riot observes. Columbio doesn’t look satisfied with the Monsignor’s answer. – “There is no room in the agenda.” Riot replies. – “We must listen to their voices.” Columbio yells. King Aidan leaves the room. Captain Daugherty and four of his blue soldiers wait for him outside the chamber. Monsignor Blanc approaches King Aidan. Inside, Columbio approaches General Riot. General Riot hands him a stack of documents. Columbio reads it. It’s not a surprise for Riot. Columbio slams the papers on the podium. Columbio stares at the Monsignor. Admiral Guiness laughs. – “I missed all of the fun while I was away.” Guiness says. In the village of Chandler, Milun observes the bakery’s entrance. Milun, anxious to change Nidia’s mind, is willing to introduce himself to Erasmo. A horse-drawn coach, covered with gold leaf, stops in the entrance of the bakery. Milun steps back, very surprised. In the Queen’s bedchamber, Janice sticks herself with a needle as she embroiders. Blood trickles for the golden canopy bed sheets. She catches the blood drops before it hits and grabs a hankie to blot it. Queen Beatrize leans her forehead against the window. Tears stream down her face as rain beats the glass. Alysse stands in the doorway in her maid’s uniform with a platter of pastries. – “Your people feel the same way.” She says. The Queen ignores her. Alysse leaves the tray on a table and heads for the door when the Queen’s voice stops her. The Queen points Janice to an armoire. Janice retrieves a couple of dresses and lays them out upon the bed. Alysse stares at the dresses. Alysse stops over a red dress. The Queen observes her. – “I want you to have them.” The Queen adds. – “Are you calling me improper?” The Queen asks. Janice smirks and bites a pastry as Alysse squirms. Alysse sputters. Janice offers a croissant. Alysse looks at the Queen, confused. – “Go on now.” The Queen replies. Alysse stuffs her face. Her eyes roll back in her head. Janice takes the red dress. Alysse chokes on the pastry. – “It’s a lot easier than it sounds.” Janice adds. Alysse shakes her head and pastry flakes fly from her mouth. Janice spins Alysse in front of the full-length mirror and holds the red dress over her clothes. Alysse stares in awe. The Queen and Janice smile as a tear streams Alysse’s face. Janice hands her a hankie. Lady Pia observes from the doorway. – “My aunt always talked about “the masquerades.” Alysse adds. The Queen gets very excited when she hears that word. – “What is a masquerade?” Janice asks. Alysse holds the red dress and sways. “It’s a magical dance, everybody wears masks and exotic hats. Take my hand until it lasts, at the end you’ll give me your heart. Oh, it is two o’clock, do you have enough make up? The Queen and Janice are fascinated with Alysse’s words. Lady Pia enters and curtsies. Alysse shoves the red dress away and curtsies to Lady Pia. Janice shoves the pile of dresses into Alysse’s arms. Alysse’s eyes bolt wide. Lady Pia snatches the dresses. – “Alysse is my lady in waiting. I have offered them to her, and she will have them”. The Queen looks at her squarely. – “I will discuss this change with Butler Columbio.” The Queen adds. At the bakery, Chancellor Duke de la Motte gets off the coach. He scratches his stiletto beard. Erasmo runs towards the duke with his arms extended. The duke looks him up and down. Erasmo and the duke walk through a stone archway. They enter a spacious room, with a brick oven chiseled into the rock. Batches of various style breads are placed on a large table. Erasmo takes a basket and hands it to the duke. Duke de la Motte smiles. Nidia descends the stairs. She wears a linen robe. The Duke kisses Nidia’s hand and hands her a jewelry box. Nidia, excited, opens it and finds a golden necklace. The Duke places the necklace around Nidia’s neck. Milun observes through the bakery’s window. The face of the duke looks familiar to him. Nidia kisses the duke’s mouth and the duke grabs her hips. Milun is devastated witnessing Nidia’s actions. Milun turns and stares at the golden coach. – “I recognize his face from the ceremony. He is a member of the Royal Court.” He thinks. In her bedchamber, Alysse lays the dresses out upon her bed. Lady Pia enters with a withering look. Alysse, surprised, stares at Lady Pia. – “The Queen asked me to. As her lady in waiting I’m instructed to wear them when needed”. – “You can’t play innocent with me. I saw your naughty face staring at the mirror.” Lady Pia laughs. Lady Pia leaves the room. Alysse feels hurt since the word “Borden” relates to her ethnic background. Alysse sobs uncontrollably on her bed.